Lime Street, in The City of London is located between Fenchurch Street to the south and Leadenhall Street to the north. Its name comes from the lime burners who once sold lime for use in construction. Today, it’s possibly best known as the home of the world’s largest insurance market, Lloyd’s of London, and the street itself is a mixture of restaurants, retail units and prestigious city centre offices. Nearby is the Norman Foster-designed and gherkin-shaped skyscraper and the Leadenhall Building. The northern section of Lime Street is made up of York Stone paving stones and hard wearing Granite setts. 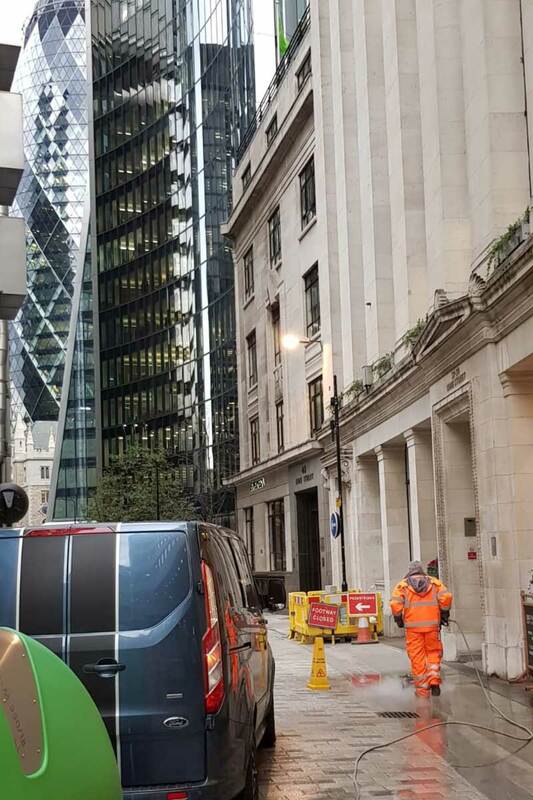 The City of London contracted Surface Solve Ltd, the specialist deep cleaning services division of the Go-Gum Group, to clean and protect a section of the Lime Street carriageway and pavement. 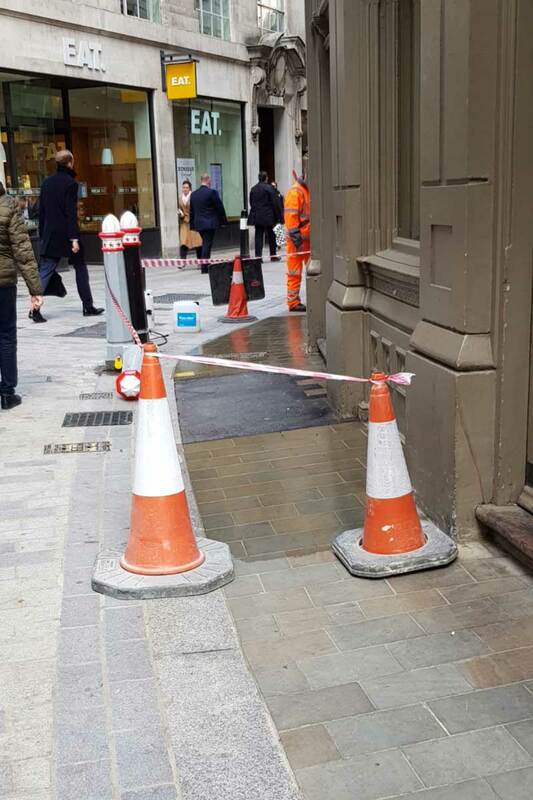 Over the course of two consecutive days, working during normal daytime hours, two fully qualified Surface Solve operatives, using the Go-Gum Lanceman DiBO paving stone cleaning machine, deep cleaned 600m² of Granite setts which make up the main carriageway of Lime Street. These environmentally friendly cleaning machines use high temperature, low pressure water and steam as the only cleaning agent. Despite using no chemicals in the cleaning process, our equipment is able to give the natural stone substrates a thorough deep clean achieving fantastic results when it comes to cleaning paving stones. A further 430m² of York Stone paving, alongside the carriageway was also deep cleaned using The Go-Gum Lanceman DiBO paving stone cleaning machine, then once dry, protected with two applications of Pave-Saver pavement and stone protector. 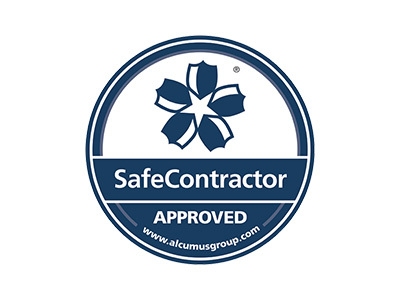 Pave-Saver Paving Impregnator protects natural stone and paving stone surfaces from weathering and helps surfaces remain clean by repelling chewing gum, water, airborne dirt, acid rain, smog, industrial pollutants, oil and grease, dust and organic growth (lichens & moss).